It’s impossible to pinpoint what exactly makes a person, well, a person. We can list off features such as their personality, appearance, behavior, movements, ways of thinking, their feelings...and we would barely be scratching the surface. No person can fully understand people, or themselves, in my opinion, which poses a question for writers -- if we don’t understand what makes a person a person, how can we create a fictional one? How do you make a character who readers find realistic and worth rooting for? For a protagonist, the answer seems easy: make them sympathetic, or make them relatable. Make the reader like them. But what about antagonists? As a writer, aren’t you supposed to make the reader furiously wish for the antagonist to meet his or her downfall? Here’s my thought: you can have the reader root for your protagonist, and root against your antagonist, and still make both sympathetic. One of the elements necessary for my above statement to play out, is to have a protagonist to root for, and the other, having a human antagonist. The latter is the focus for the second part of our series. Now that you’ve given your antagonist power to wield, you need to strip them back. So what are some ways you can do that? I have yet to meet a person who has never been hurt by anyone. Every person deals with being hurt, criticism, and pain differently. If it’s not dealt with a healthy way, it can significantly alter a person’s character, belief system, and behavior. How has your antagonist been hurt by others? Finding their reaction, and how they did or didn’t deal with this pain, will tell you much about them and their past. Examples: - Antagonist was discriminated against by a people group, and so rose to a position of power, to discriminate against said people group - Being abandoned by parents led them to believe family is a lie, and seek to destroy other families as a ‘favour’ - Were hurt by others, so feel they have the right to hurt others in return. 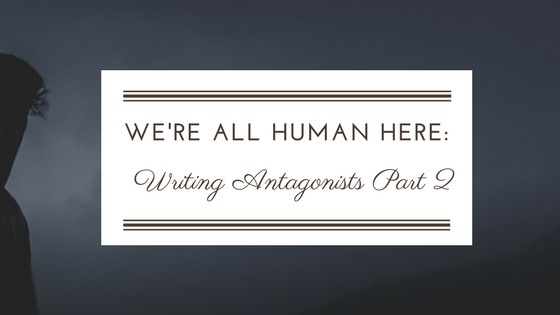 There are many ways to make your reader connect on some level to the antagonist, and feel sympathy for them as well as fear. These are just some of them, but I hope this week’s post has given you inspiration on how to turn your antagonist from a solid black cut-out, to a person. After all, we’re all human here. Let’s chat! Do your antagonists have hurting cores? What kinds of motivation do you like to give your antagonists? 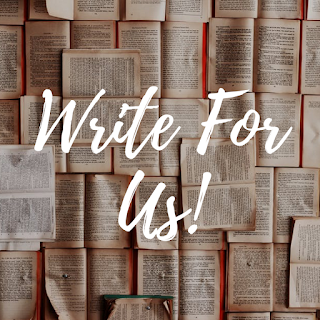 How is your writing going? Melissa Gravitis is a Christian teen writer with a Thai heart, Aussie heritage, and international blood. Growing up overseas, she developed a passion for following dreams, and crafting Young Adult stories with vibrant worlds and characters that pop off the page. Though she doesn’t own any pets (yet), she has imaginary friends called Characters that she spends most of her days with. When she’s not with them, she’s jamming to music, or burying herself in books. 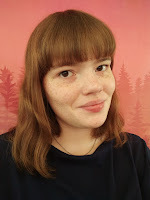 You can read her thoughts and follow her writing progress on her blog, Quill Pen Writer. I'm continuing to think about my one villain... I'm getting really excited about his part, especially in book three... I love the hesitation point!!! Great points! I'll definitely have to think these through for my antagonists. There's something truly amazing about an antagonist you hate but also sympathize with. There is such DEPTH to a villain like that. So these are awesome tips, Melissa, and super helpful!! Oh my goodness, this is SO GOOD, Melissa! I knew about the core part and the why part, but I never knew about the hesitation point. That REALLY makes them human, and not fully Satanic like a lot of old villains were portrayed. The 'hesitation point' is an idea I thought of quite recently, so I still have some antagonists to develop hesitation points for, tehee. I'm glad it gave you something to think about! Best of luck with your writing!